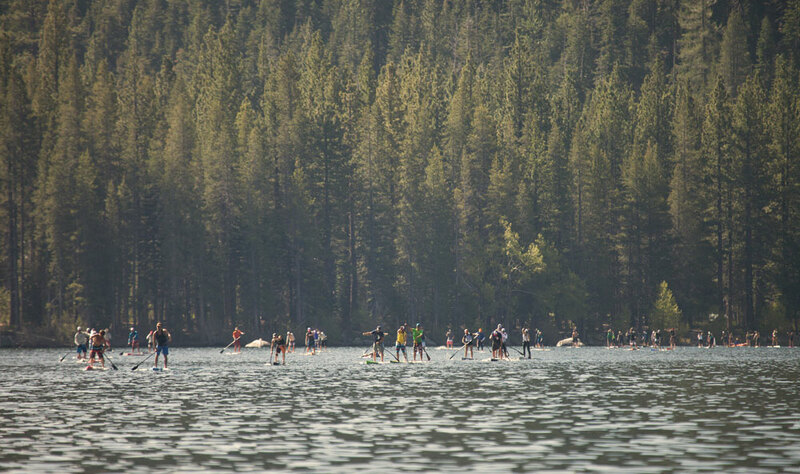 The Lake showed its true colours again on the weekend, when over 150 paddlers hit Donner Lake (technically not Lake Tahoe, but close enough) for the unofficial season opener, the O’Neill Tahoe Cup Donner Lake race. On a perfect day for paddling – warm weather, sunny skies and a windless, glassy lake – racers hit the water at 9am for the start of the 5 miler (8 kms). 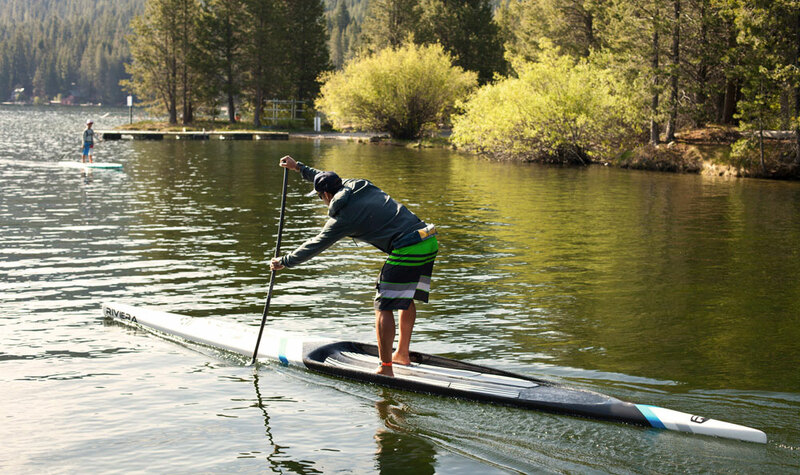 Just under 40 minutes later, Rob Rojas crossed the line on his unlimited to claim line honours. A few minutes later Brennan Rose made it a double win for the Riviera boys, taking out the 14′ class ahead of local Jay Wild. Jay’s wife almost went one spot better in the women’s, though eventually settled for the runner-up spot as well, just 4 seconds behind the winner Jen Fuller. Also great to see 20 juniors in the race – click the “Age” column on the results below and you’ll see that the age of competitors went all the way down to 6-years-old. Conditions: Lack wind. Much glass. Very paddle.